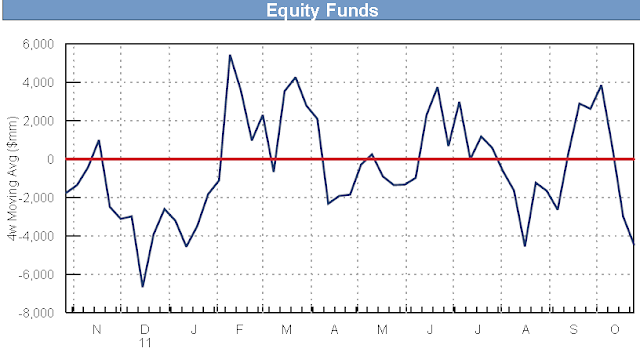 Equity funds are seeing outflows once again. Both mutual funds and ETFs are experiencing redemptions, as retail investors take profits. Funds that left equities seem to be flowing into investment grade bond funds, muni funds, and mortgage funds.